Tanzanian banks have products for every person in a family… except one. Mother and father have loans and savings accounts tailored to them and many banks offer “junior” accounts for younger children that are parent-controlled. Student accounts are available for university loans. But there’s nothing for the teens between 13 and 17, who have their own financial needs and are eager for information about how to manage money and save. 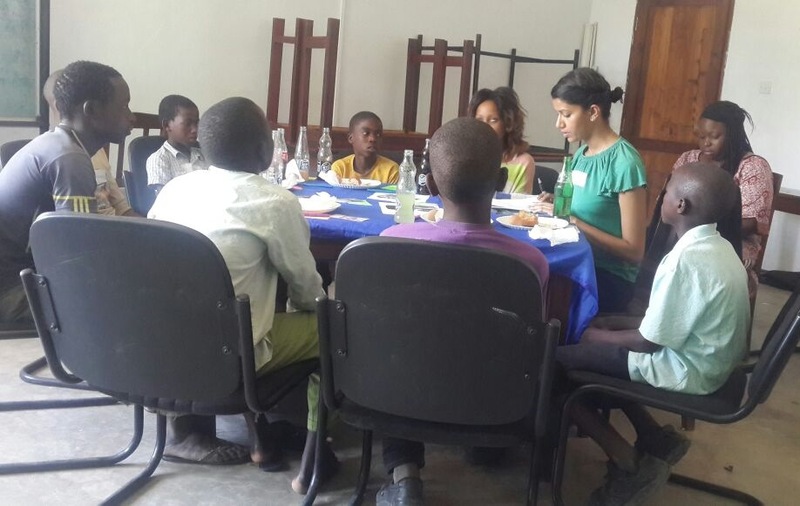 That’s a mistake, because these teens, too, represent the future of Tanzania’s financial institutions. To fill that gap and provide lifetime banking for the evolving needs of entire families, from childhood to old age, Tanzania’s National Microfinance Bank (NMB) and Women’s World Banking are working to create a savings account and financial education program to help teens develop a sense of agency in handling their finances. Similar programs in other countries have been a boon to kids, families, and banks. Women’s World Banking’s research and experience from implementing programs in Mongolia, the Dominican Republic and India show that adding accounts for teens to a financial institution’s portfolio of products benefits clients and the banks: families enjoy offerings tailored to each age group, and banks are able to start relationships with clients sooner. Strong marketing and financial education amplify that benefit: financial literacy programs in schools along with social communications campaigns and attractive marketing can help build a base of informed customers and incentivized savers. Tanzanian teens receive money from many sources. Parents give children money for daily expenses. Relatives give gifts of money when they visit and for birthdays and major holidays. Neighbors sometimes extend a hand to teens who don’t have money for the bus to school. And plenty of teens have jobs. They also make active choices about the cash they earn, where they spend it and how they keep it. Much of that income is set aside for school expenses such as fees, uniforms and books, and personal expenses like clothes and toiletries. But teen spending isn’t just on personal expenses—some of it also goes to helping other family members. It can also serve as something like an insurance policy for girls to ensure their own future. Tanzanian families rely on girls heavily for housework and other domestic chores, so often, their education plays second fiddle to other household concerns. Thus, these girls’ savings are a hedge against future uncertainties, a path to continuing education, a seed to grow a business. What about mobile money? Tanzanians, like many of its African neighbors are increasingly conducting their finances on their mobile phones. Would youth, as typically early technology adopters, be interested in saving on their phone? The answer was a surprising, resounding no. “For me, it’s not like I like putting money in the phone, but my dream is to have money in a bank, so I can manage it in a better way than putting in a phone ” says a 16-year-old from Dar es Salaam. ” Said another, “Mobile money is a place to spend money more than a place to save money. It goes really easily.” An account from a bank that was tailored to their needs, teens say, would be very appealing. Adding a teen account to its junior, student, and other banking and savings offerings, identifies NMB bank as a provider of solutions to real-world problems, not just a marketer of generic products. It’s an approach that can build lifelong customer loyalty and trust. By becoming a family’s financial solutions provider, NMB is nurturing a relationship with customers that will have them turning to the bank throughout their lifetimes as they move from childhood to maturity. In banking on families, NMB is also banking on its own future. NMB’s suite of youth savings accounts, Wajibu, was launched in Tanzania on July 28!